Use the tools below to plan your route. The Studio Tour is located 20 miles north-west of London and less than three miles from the M1 and M25 motorways. 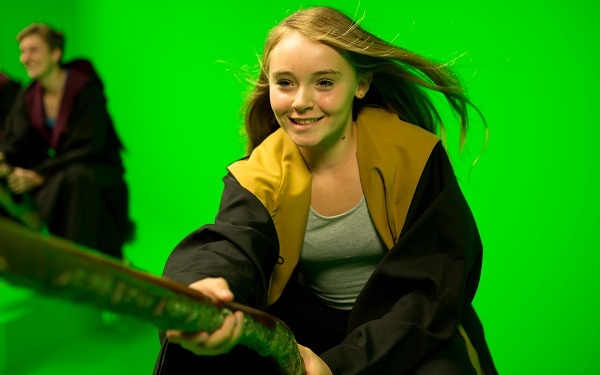 Travel from central London or Birmingham direct to the Studio Tour by bus with Golden Tours. Regular shuttle buses, operated by Mullany's Coaches, run from Watford Junction to the Studio Tour with a journey time of around 15 minutes. Buses run every 20 minutes from 9.20am (with additional services available from 8.15am when the first tour is at 9am). 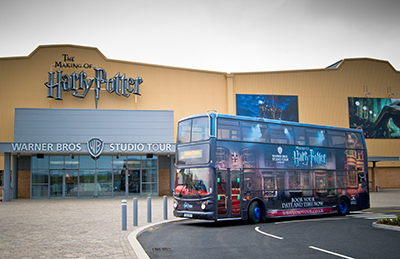 Please note, the last return Shuttle Bus back to Watford Junction will depart the Studio Tour when the Tour closes. For more information regarding this, please see the opening times calendar. Please be aware this is a cash only service. Credit and debit cards are not accepted. You will need a valid Studio Tour ticket or booking confirmation for the date of travel to use this service. Please have this ready to show the driver when boarding. Other non-direct train services operate from London Euston, but please be aware that these may take longer to arrive at Watford Junction. Oyster cards are valid between London Euston and Watford Junction. Parking is provided free of charge in our car park directly outside the Studio Tour. A number of blue disability badge parking bays are available close to the main entrance for the convenience of our eligible visitors. When entering the car park, please make sure you have your booking confirmation ready to show our Car Parking Team. If visiting as part of a group travelling independently, each vehicle will require a booking confirmation to show at the car park entrance. Our postcode is WD25 7LR. Please note, this postcode may not work on some systems as we are still a relatively new site. As you approach the Studio Tour, brown traffic signs labelled “Warner Bros. Studio Tour” will help direct you to our entrance. Exit the M1 at Junction 6a and merge onto the M25 (Heathrow). Exit the M25 at Junction 20 and head south east on the A41 towards London (NW & C). Keep in the left hand lane at the Hunton Bridge roundabout. Move into the left hand lane for the A405 (St Albans). Take the left hand fork ahead and then take the first exit at the roundabout into the Studio Tour. Clockwise: Exit the M25 at Junction 19. At the Hunton Bridge roundabout take the second exit onto the A41 (Central London) and move into the left hand lane for the A405 (St Albans). Take the left hand fork ahead and then take the first exit at the roundabout into the Studio Tour. Anti-Clockwise: Exit the M25 at Junction 20 and head south east on the A41 towards London (NW & C). Keep in the left hand lane at the Hunton Bridge roundabout. Move into the left hand lane for the A405 (St Albans). Take the left hand fork ahead and then take the first exit at the roundabout into the Studio Tour. Exit the M1 at Junction 5 and take the A41 (North Watford) for approximately 3 miles. At the Hunton Bridge Roundabout, take the 4th exit, back on to the A41. Keep in the left lane and take the first exit. Keep left at the Y junction and then take the first exit at the roundabout into the Studio Tour. 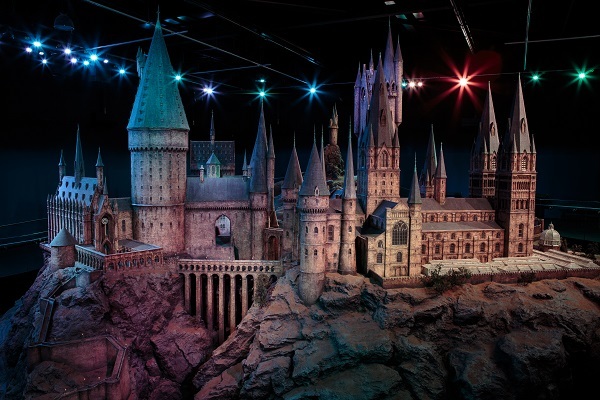 Why not make your journey hassle-free by travelling from central London or Birmingham direct to the Studio Tour by bus? Our preferred partner, Golden Tours, offers convenient, hourly return transfer and ticket packages on their buses. Transfer-only options are also available for those who have already purchased their tickets. 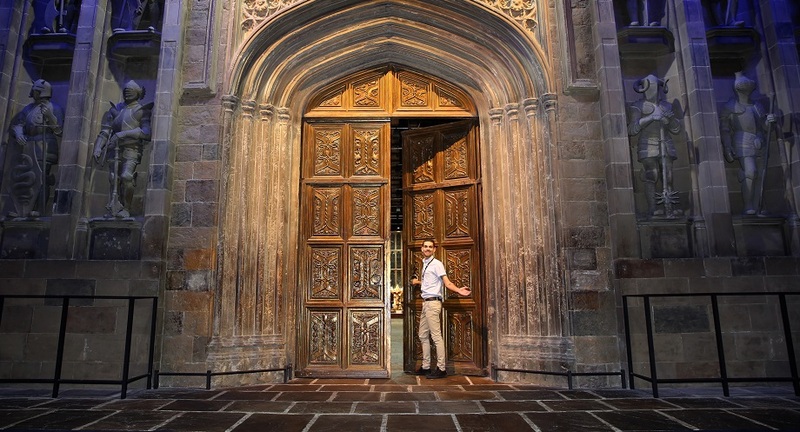 *Transfer-only option available for those who have already purchased their Studio Tour entry tickets.